The traditional paper based survey has long been used as a means to gather both qualitative and quantitative data. Such surveys can be quick to develop and easy to administer however there are a number of problems that can affect the validity of the results. In particular it can be difficult to obtain a large enough cohort willing to participate in such surveys but more disturbingly that the typical response rate may be low making it difficult to perform worthwhile statistical analysis on the data. An alternative to the paper based survey is the use of an online survey. The online survey has the advantage of reaching a much wider cohort of people and as a result obtaining a significantly higher numbers of responses. Similar to online surveys is the online poll. Rather than replicate a paper based survey in an online environment, a poll presents individual questions to users giving them the flexibility to respond to as many or as few questions as they choose. In comparison to online surveys, by their nature online polls have the ability to survey much larger numbers of respondents but have the disadvantage of being unable to correlate responses. When a business considers releasing a new product or service, they have to think about how customers will respond. 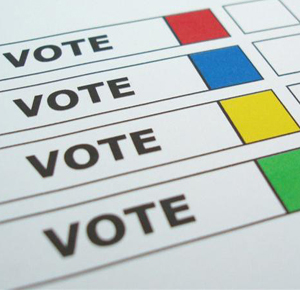 Creating an online poll on the front page of your site will be a great place to gather data. Giving a customer something to vote on is a good way to gather an estimate of how many people would buy the product or invest their money in a specific service. You can then use this feedback to help decide whether it is a good financial decision to move forward. Customers enjoy knowing that a business they invest their money in truly cares about them. They like to have a voice when it comes to the decisions that are made about the business and they like to know that they are being heard. To conclude, online polls can be an excellent way to learn more about your customers and site visitors. People love to give their opinions and enjoy feeling like their feedback matters. Polls and surveys can also be a form of entertainment to your visitors. Most importantly, using the data gathered from informal polls and surveys on your website, you can determine what visitors want and make adjustments to your site to change your site visitors into customers. 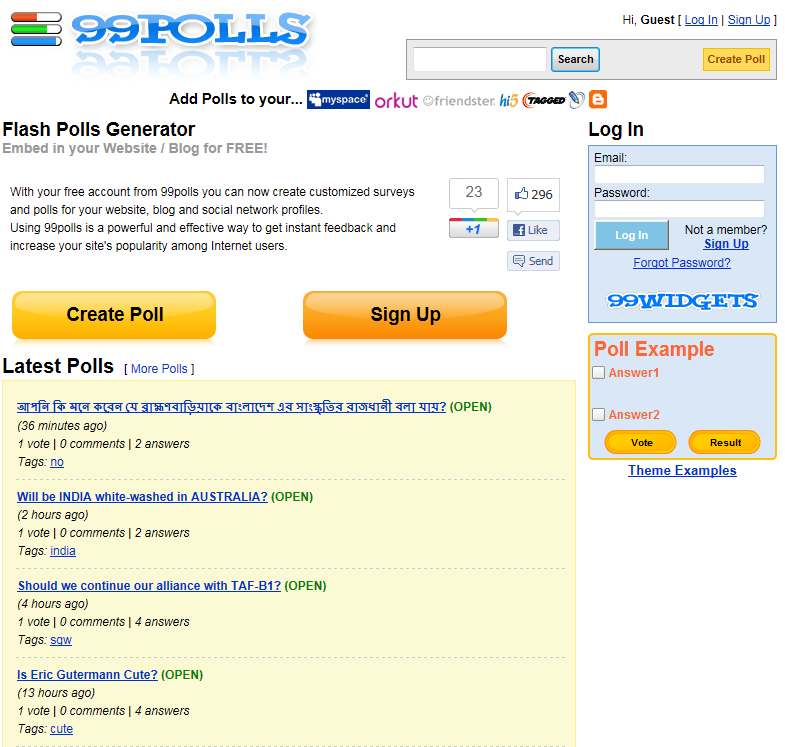 There are a variety of online poll tools from which to choose. For a comprehensive list of online survey and poll tools, you can check our survey software directory. Here is a list of 7 poll software tools we found online. Polldaddy is brought to you by the same company behind WordPress.com. 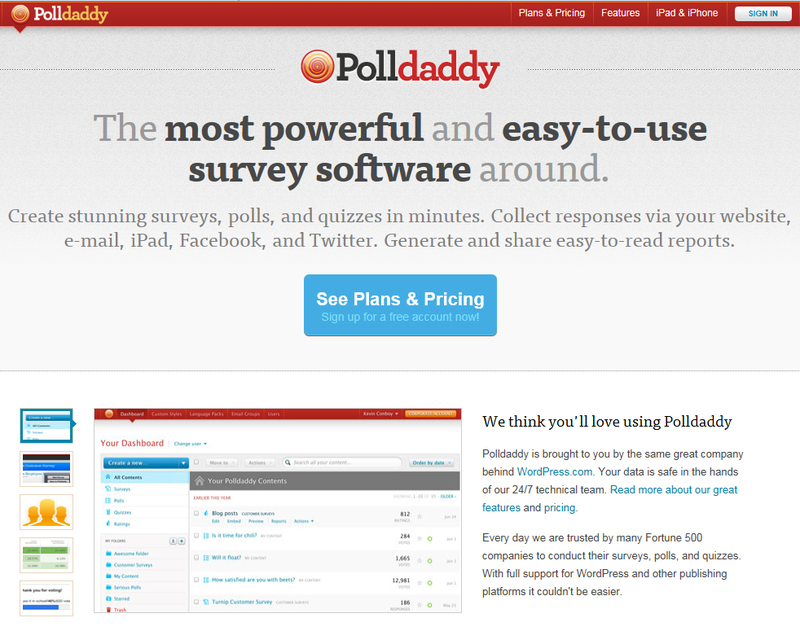 Every day PollDaddy is trusted by many Fortune 500 companies to conduct their surveys, polls, and quizzes. With full support for WordPress and other publishing platforms it couldn’t be easier. 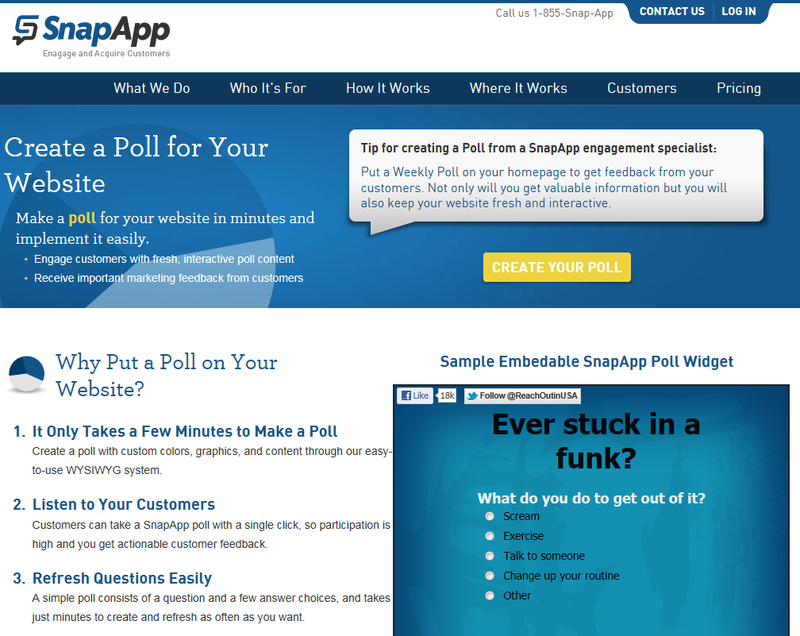 Polls are a perfect way to interact with site visitors. Your audience can give you instant feedback on the topics you choose, with a single click. Polldaddy makes it easy to get feedback. 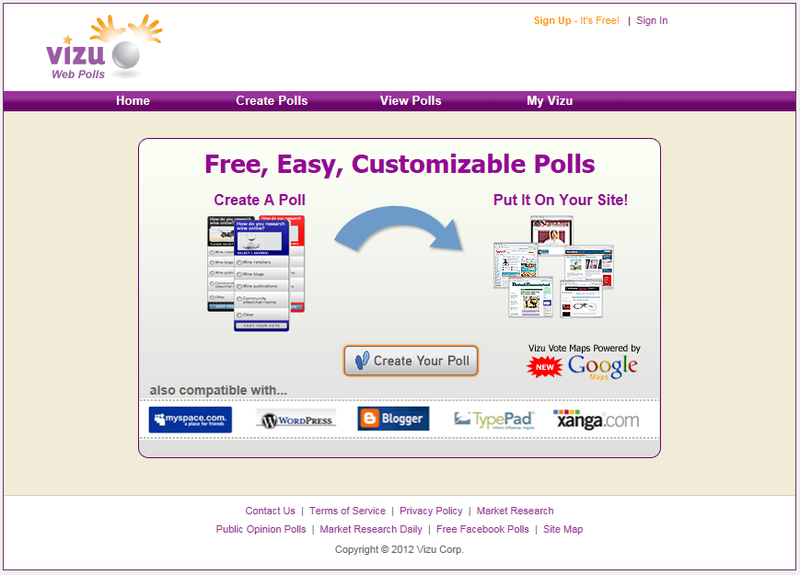 With Vizu you can create a free web poll and put it on your blog, Facebook or other social page. Also you can try Vizu Answers for opinion polls and affordable market research. 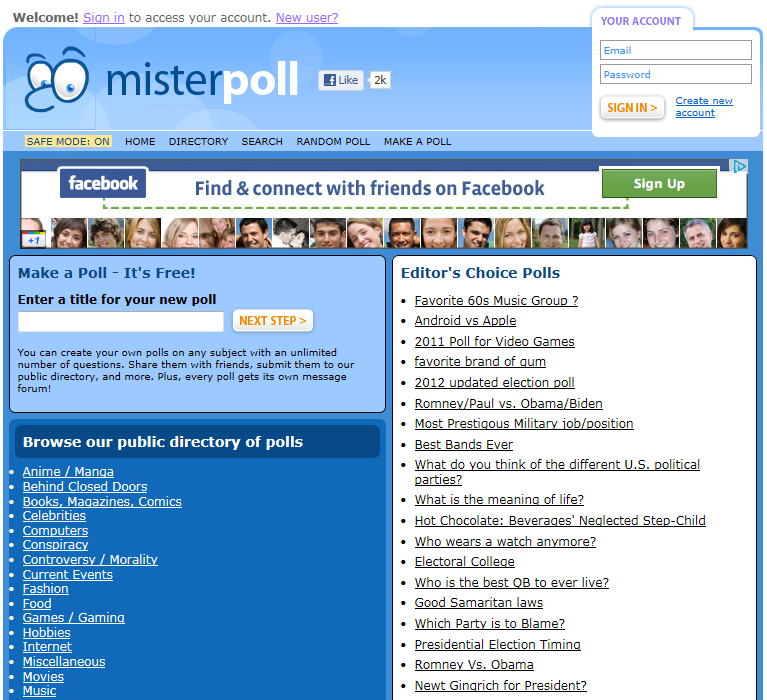 With MisterPoll you can create your own polls on any subject with an unlimited number of questions. Share them with friends, submit them to our public directory, and more. Plus, every poll gets its own message forum! With your free account from 99polls you can now create customized surveys and polls for your website, blog and social network profiles. Using 99polls is a powerful and effective way to get instant feedback and increase your site’s popularity among Internet users. 1. Give your customers a voice. Surveys are a simple but effective way for your customers to tell you what they think. Voters share surveys with friends. 2. It’s easy for users to share and compare survey answers with friends. Get insightful customer feedback. 3. Get exactly the information you are looking for. Surveys are designed to allow you to ask follow-up questions. 4. Control how the results are presented. You can collect data privately for your own personal assesment, or opt for a more conversational approach and allow your customers to view the results. 5. Free market research. Write an entertaining survey mixed with your market research questions. If users are having fun, they are more willing to share their information with you. PollCode works very simple. 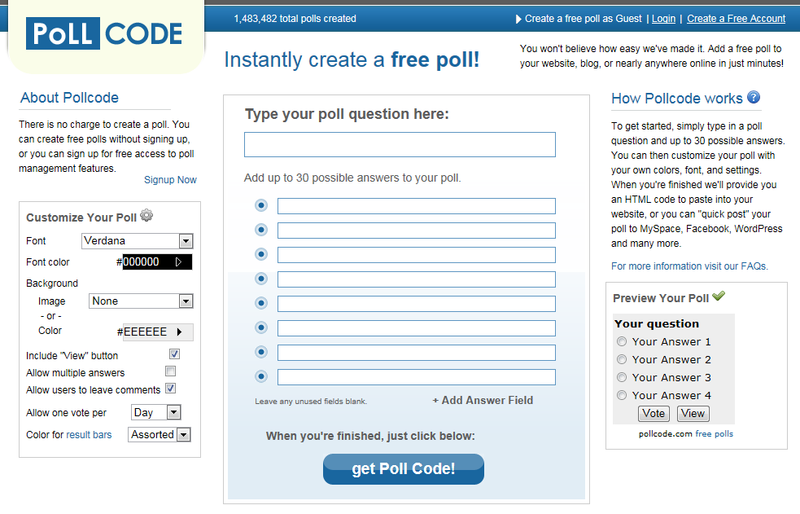 To get started, simply type in a poll question and up to 30 possible answers. You can then customize your poll with your own colors, font, and settings. When you’re finished we’ll provide you an HTML code to paste into your website, or you can “quick post” your poll to MySpace, Facebook, WordPress and many more. For more details about online survey tools and free survey sites visit www.survey-reviews.net. I find that http://www.smart-survey.co.uk is the most user friendly software. I also got 35% discount as a student. That makes it user friendly and CHEAP! nice list!! i recently used http://www.tolunaquick.com you should try them! I’ve been using http://mobosurvey.com. Not too shabby. I use http://www.datagle.com. It’s free and no monthly payment. All the other survey tools charge monthly fee.